Database Systems Corp. (DSC) is a leading provider of call center phone systems including automatic inbound call answering systems. These modern phone systems incorporate ACD (automatic call distribution) technology and software to manage and distribute these incoming calls in the most effective manner required by your organization. DSC offers both affordable and expandable ACD phone systems that automatically route calls to various agent groups. This ACD phone system can be enhanced using our award winning IVR (interactive voice response) software development tools. "ACD (Automatic Call Distribution) is a computer telephony integration technology that automatically distributes incoming calls to unique groups of phone answering agents. ACD phone systems are usually found in organizations that process large volumes of phone calls. In most of these types of organizations (such as customer support or sales), the caller has no specific need to talk to a certain person. The caller simply wishes to speak with a person capable of providing the necessary support and information. The ACD phone system's primary responsibility is to route these calls in the most effective manner. The ACD phone system consists of switching hardware, phone lines and routing software. ACD routing strategy is a set of instructions that tells the ACD how calls are handled within this system." 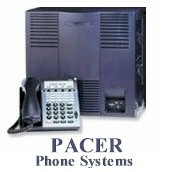 DSC provides two unique series of phone systems, both of which support our common ACD technology. The PACER phone system supports multiple T1 (digital) phone lines while our WIZARD analog phone system support 1 - 48 phone lines. This ACD / IVR system includes our IVR Wizard software or comes optionally with our IVR development software and programming library. 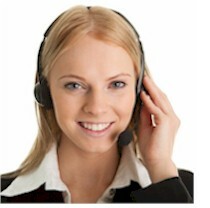 You can program your own system or we can provide you with a custom ACD and IVR call distribution application. Applications developed on our analog phone system can be easily ported to our digital IVR system when your call volume requires a larger system. Contact DSC for a FREE analysis and quote and to learn more about our call center phone systems and ACD service.